Robot University is an interactive public display at QUTâ€™s The Cube. 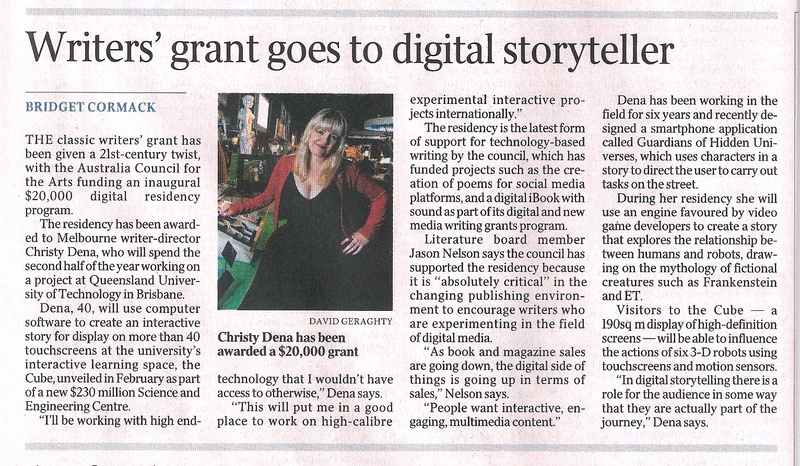 It is the first Digital Writing Residency in Australia, and it has been awarded to Christy Dena from Universe Creation 101Â and she has selected me to be the programmer in the team. The cube is a $230 million Science and Technology center. We will be taking advantage of the touch screens and Kinect motion sensors to build a unique experience for the visitors. We are only in the early design stages now, but I hope to add a few development blog posts here as we go along.